Armstrong’s First Graders Perform Strega Nona! 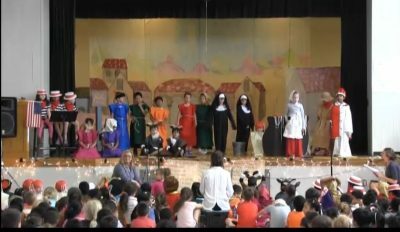 On Wednesday, May 30th, 2018 Armstrong’s six 1st grade classes performed the play “Strega Nona” based on the book by Tomie dePaola. The students did a wonderful job – enjoy!